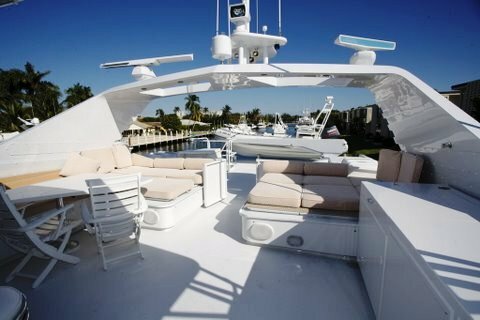 Motor yacht JUST RIGHT is a 30,48m (100') Broward motor yacht built in 1999. She has received a refit in 2007 and in 2008 and is in pristine condition. 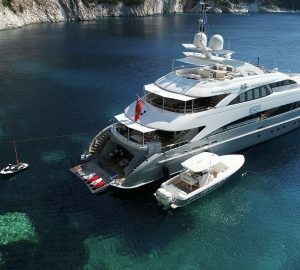 The yacht can accommodate 9 guests in 4 cabins, is based in Florida and available in Florida or the Bahamas. 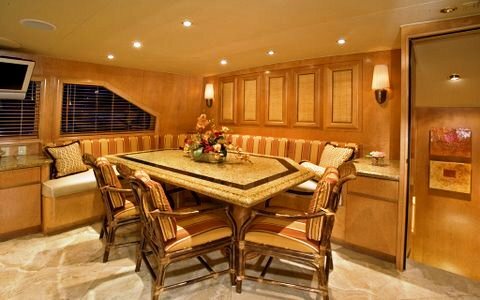 The yachts salon is welcoming and cosy, featuring comfortable couches, a card table and warm neutral tones. In an open plan style, her dining area is located forward of the salon. 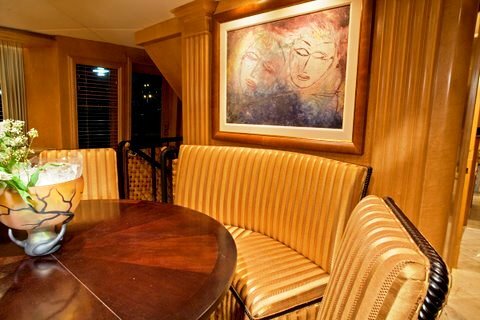 The yacht also features a Country Kitchen where guests can observe the chef at work and enjoy the delicious aromas. 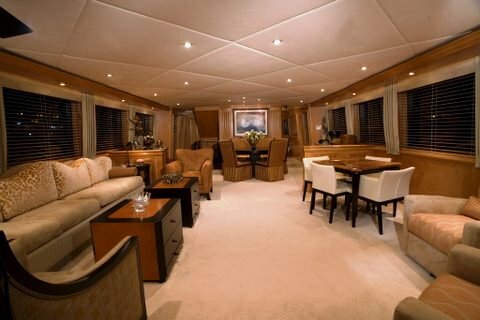 M/Y JUST RIGHT can accommodate 9 guests in 4 cabins. 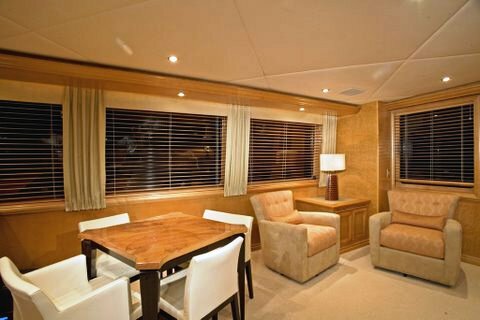 The Master cabin has a King sized bed, (pictured below), a VIP with Queen bed is located forward, a VIP with Queen bed is situated on the Port side while a Guest cabin with twin beds and a pullman bunk is located on the starboard side of the yacht. 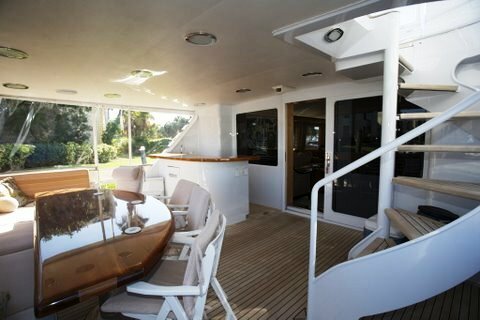 JUST RIGHT has a great aft deck for entertaining with a bar, fixed seating to the aft and a table for el fresco dining. A spiral staircase leads to the upper deck which is the perfect area for lounging, enjoying the sun, view and cocktails. JUST RIGHT has a crew of 6 and can travel at speeds between 16-18knots. 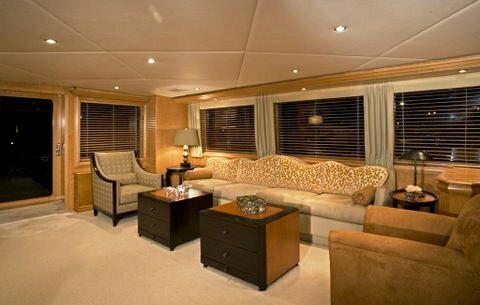 Motor yacht JUST RIGHT can accommodate 9 guests in 4 cabins including a Master with a King sized bed, (pictured below), a VIP with Queen bed located forward, a VIP with Queen bed on the Port side and a Guest cabin to the starboard with twin beds and a pullman bunk. 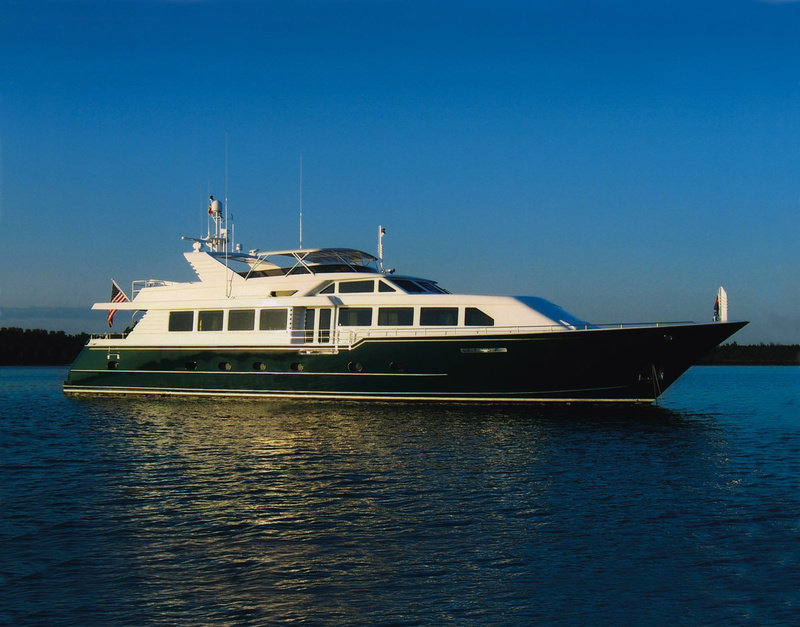 Charter Motor yacht JUST RIGHT has the following Tenders and Toys: A 34ft Yellowfin towed tender and 2 wave runners. Communications include a Sat Com and cellular phone.